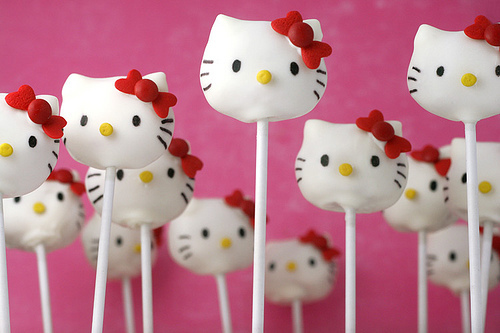 The Hello Kitty cake pop is so freakin’ cute. I was digging through some blogs online and came across this cuteness on a stick! 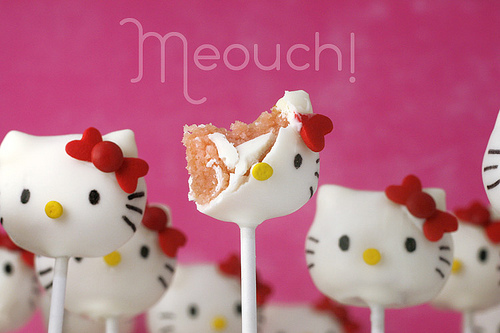 The innovative baker/blogger is sharing her Hello Kitty cake pop receipe with the world. If I wasn’t so clumsy in the kitchen, I’d try it out. Lindsey is a writer and social media butterfly sharing food, beauty, style, home and L.A. adventures.